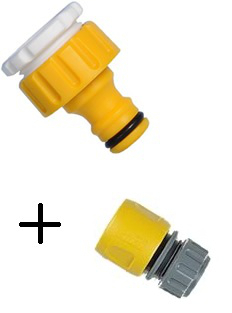 3/4" BSP tap connector suitable for use with 95% of all outdoor taps. Includes a 1/2" adaptor for older taps. Sold & dispatched by Longacres Partnership. The connector securely attaches to the outdoor tap, and converts it to the Hozelock quick connect system.